Excessive alcohol use* is not a new, inconsequential, or geographically-isolated problem. In 2010, approximately 17% of US adults reported binge drinking, 5% reported heavy drinking, 7.6% reported drinking while pregnant, and 39% of youth under the age of 21 reported drinking (Source: CDC, BRFSS). A report released in 2011 estimates the economic costs of excessive alcohol consumption in the US is approximately $223 billion each year. Excessive alcohol consumption is one of Wisconsin’s biggest public health issues. Excessive alcohol consumption is associated with many negative health and social consequences, which come at a great economic cost. Everyone who lives and works in Wisconsin is affected by these consequences and associated economic costs of excessive alcohol consumption, regardless of his or her personal drinking behavior. Population health is fundamentally about measuring health outcomes and their upstream determinants and using these measures to coordinate the efforts of public health agencies, the healthcare delivery system, and many other entities in the community to improve health. These measures monitor how well we are managing a responsibility that we all share, and help to set priorities. Managing a shared responsibility, however, is challenging: given the many factors that influence health, no single entity can be held accountable for health outcomes. But as I came to realize in preparing a new Academy Health issue brief on population health, what seems like a minor component of the Affordable Care Act (ACA) provides the key to resolving this dilemma. Today, the Robert Wood Johnson Foundation (RWJF) and the University of Wisconsin Population Health Institute (UWPHI) release the 2013 County Health Rankings. The Rankings have been produced nationally since 2010 and are an annual reminder that where we live matters to our health. We know that health is more than health care, and the Rankings provide all fifty states with county-by-county snapshots to help raise awareness about the many factors -- such as education, employment, community safety, and access to healthy food -- that influence how long and how well we live. Very helpful for getting attention, the Rankings are meant to spark the types of long-lasting change that we know make a difference in the health of communities. So, when you visit www.countyhealthrankings.org to see how your county's health compares to other counties in your state, be sure to check out the Roadmaps section to see what you can do to move your community’s health forward. There are several resources to answer the question "What can I do?" including the Roadmaps to Health Action Center (providing tools and personalized assistance for creating healthier places to live, learn, work, and play) and What Works for Health (providing information to help communities select and implement evidence-informed policies and programs). To answer "What can I learn from others?" the site features communities around the nation who are using the Rankings to take action. Visit this portion of the site to learn how Roadmaps Community Grantees are working on policy and systems change around social and economic factors and to read stories about local change agents--leave thinking about how you could lead or support similar action in your own community. Be sure to also visit the RWJF Roadmaps to Health Prize section of Roadmaps to peruse the 2013-14 Call for Applications for the next round of prize competition. Applications are due May 23, 2013. We invite you to meet these winning communities and learn about their accomplishments through the online RWJF Roadmaps to Health Prize multimedia winners gallery. The prize recognizes that every community is on a unique journey toward better health and that communities’ success stories are as diverse as their populations. All U.S. communities working toward better health are invited to apply. Winning communities will each receive a $25,000 cash prize and have their success stories celebrated and shared broadly with the goal of raising awareness and inspiring locally-driven change across the country. We encourage anyone interested in the prize to join us on April 2 (1-2 p.m. ET) for an informational webinar (registration required) where we’ll provide an overview of the application and selection processes and answer questions from potential applicants. Those not able to participate in the webinar may view the recording, to be made available on the prize website, at their convenience. We are also excited to announce that in addition to our first National Partner, United Way Worldwide, two other national organizations with a local presence have joined the County Health Rankings & Roadmaps team—National Association of Counties and National Business Coalition on Health. These partners, together with the rest of our team at RWJF, UWPHI, and Community Catalyst are eager to be in touch with all types of communities to help and celebrate health improvement efforts across the nation. Bridget B. Catlin, PhD, MHSA directs the County Health Rankings & Roadmaps program at the University of Wisconsin Population Health Institute. These statistics and the current emphasis on individualized medicine might suggest that, if a community can afford high tech health care, it doesn’t need to invest in parks, bikeways, tobacco-free homes and workplaces, access to affordable fruits and vegetables, and the other health promoting environments.2 But the data demonstrate that the path to health for every community and every individual, rich and poor alike requires health-promoting physical and social environments. A few months ago, Health Affairs published Robert Mechanic and colleagues’ The New Era Of Payment Reform, Spending Targets, And Cost Containment In Massachusetts: Early Lessons For The Nation. The article describes the cost containment bill that was signed into law in Massachusetts last August and discusses the growing pressure on policymakers to control health care spending as we expand health care to near universal coverage. For those working in population health, the interesting story about the Massachusetts legislation is that a small group of bright and dedicated public health advocates from the Massachusetts Public Health Association (MPHA) brought together a broad coalition of partners across the state to call for a sizable and sustainable investment in community-level population health strategies. According to Maddie Ribble, Director of Policy and Communications at MPHA, “civic leaders and organizations coalesced around this proposal, including unusual allies such as mayors, town managers, religious leaders, and business leaders. In addition, more than one hundred legislators actively supported the effort.” This monumental achievement can best be characterized as eighteen months of intensive political organizing, during which time prevention and public health were a significant part of the public debate. With widespread support, a sixty million dollar Prevention and Wellness Trust Fund was included in the cost containment legislation, to be used for community-based prevention strategies over four years. As the Health Affairs article says, we can look to Massachusetts for early lessons for the nation. With their innovative trust, Massachusetts is on the road to having the necessary resources to improve population health. If they succeed in reducing health care costs through population-based strategies, they will complete the virtuous cycle of better care, better health, and lower costs. Ann Batdorf-Barnes, DO , MPH is a consultant to the Kresge Foundation. The opinions expressed are those of the author and do not necessarily reflect the official opinion of the Foundation. Why Don't We Know More Precisely What To Do? As much as I admire and support last week’s NRC-IOM report on the U.S. Disadvantage, I have been reflecting on the authors’ strong call for better data and research investments. Unfortunately, the report’s policy recommendations don’t seem on par with the extreme challenges presented. These are reasonable things to do, but why don’t we know more precisely what to recommend to policy makers to close these gaps? How Could the United States Have a "Health Disadvantage"? The report takes on the very challenging task of explaining what underlies this poor performance of the United States. Two initial chapters deal with the evidence on mortality and morbidity, while five more deal with current evidence for the explanatory factors, such as public health and health care systems, individual behaviors, social factors, and physical and social environmental factors. It is beyond the scope of this blog post to try to summarize this vast content, but suffice it to say it is an extremely comprehensive treatment of what we know about the multiple factors producing health. The report can and should be used as an evidence guide for policymakers and a population health textbook for the academic community. San Antonio, Texas has recently put itself on the population health map with a program led by its new mayor, Julian Castro. During the 2012 elections, San Antonio voters approved a referendum for a 1/8th cent sales tax increase to fund an expansion of Pre-K education to address a gap in citywide enrollment. Faced with a city performing well below the national mean, with achievement gaps for many education metrics, Mayor Castro assembled a taskforce to address the challenge, which resulted in the creation of Pre-K 4 San Antonio. The program will establish four model centers to provide preschool education for the estimated one quarter of the city’s four year olds not participating in full day pre-k programming. These centers specifically target those most likely to not be receiving pre-K education, such as those living in poverty, those who are homeless, and English language learners. The program also involves parents, who will be required to take part in parenting classes. Within three years, the program aims to add 3,700 pre-K slots in San Antonio in the four centers and through contracts with schools. Best wishes for a wonderful holiday season from Improving Population Health. We regularly scan eleven journals for new studies of particular population health relevance (the list of journals is at the end of this post). For this year-end roundup, we’re highlighting a couple of recent articles and also listing those we’ve called attention to earlier in the year. McCullough JC, Zimmerman FJ, Fielding JE, Teutsch SM. (2012). A Health Dividend for America: The Opportunity Cost of Excess Medical Expenditures. American Journal of Preventive Medicine, 43(6), 650-654. Many governments and private households are struggling with budget deficits. For example in Minnesota over the next 20 to 25 years, rising health care costs are projected to leave little additional money for spending on other state programs such as education, affordable housing, job development, etc. that arguably contribute more to population health than health care (1). Rising health care costs means there is less money for these other factors, which contributes to less healthy populations leading to higher health care costs which leads to less money to spend on the other factors. We will be creating a vicious, downward spiral. There is a way out. It reminds me of the famous legendary quote of the bank robber Willie Sutton when he was asked, “Why do you rob banks? He replied, “Because that’s where the money is.“ Why should we, in population health, care about total cost of care (TCOC) or per capita costs of health care? Because that’s where the money is. “Do the Math” for Population Health? In recent weeks, I have been paying close attention to policy dialogues sparked by Hurricane Sandy. So when I heard Bill McKibben was bringing his Do The Math tour to Madison, I had to be there. The event made quite an impression on me, both in terms of packaging the argument for divestment in fossil fuel stocks, but even more particularly how McKibben has moved dramatically out of his academic comfort zone – understandably driven by his palpable fear that without action our planet will become uninhabitable within a few generations if not sooner. McKibben is an environmental activist, who at age 27 wrote the The End of Nature. During his presentation he reflected that at the time, he thought a book was all that was needed to spark change. He now recognizes that while academic contributions are important, they’re not necessarily sufficient for social change. McKibben has devoted himself to this work. He’s not a rock star type (even though the tour has all the elements, including a huge bus, high quality graphics, music, and videos from famous people like Desmond Tutu); this does not seem to be his comfort zone. He seems a bit uncomfortable in the limelight, and dresses very casually. He says he would rather be typing than touring the country. The Raising of Minimum Alcohol Prices in Saskatchewan, Canada: Impacts on Consumption and Implications for Public Health. Tim Stockwell et al. American Journal of Public Health. 102 (12), e103-e110. This article describes the impact of raising minimum alcohol prices by 10% in Saskatchewan, Canada. Saskatchewan provides a unique case study in that the provincial government has established a monopoly to control alcohol distribution. The intervention led to an 8.43% reduction in alcohol consumption, with the greatest declines from beer, spirits, and wine respectively. Notably, a significant portion of this effect was observed via retail sales, as opposed to bars and restaurant consumption. Equally interesting, the study found a differential affect by alcoholic beverage potency. High alcohol content beer and wine were associated with the largest decreases in consumption, with high alcohol beer dropping 22% compared to only 8% for low alcohol beer. The surprisingly targeted effects of the alcohol pricing legislation investigated here merits further research, including probing for broader policy application. A Population Health Hurricane Sandy? I was in New York City a couple of weeks ago giving several lectures. How strange it was to fly in over the city lights, cab through a recently flooded tunnel, and find my hotel without incident. Only after talking to cab drivers and old professional friends did the impact on so many reveal itself, including major hospitals still closed, and particularly the many, many stories of how those spared immediate devastation reached out to those not so fortunate. At the beginning of my talks I acknowledged this terrible devastation, but asked if there could be a silver lining in that finally the greater public and policy makers will have to confront the realities of climate change in increasingly frequent extreme weather events. Ideally, this increased attention will lead not only to short run defensive measures like seawalls but also the more difficult but critical upstream policies like taxing carbon that will be needed to save the planet for our grandchildren. Can States Opt Out of Expanding Medicaid Coverage? Of course they can, and several governors and legislatures have indicated they might. Would this improve population health? Under the Affordable Care Act, states have the option in 2014 of expanding Medicaid coverage to all adults earning less than 133% of the federal poverty level, or about $31,000 for a family of four. The federal government will cover the full cost to the states until 2016, and gradually reduce their share to 90 percent in 2020, maintaining that rate in the following years. The broad population health model that informs this blog’s perspective recognizes health care as one of many factors that drive health outcomes. In our model, health care plays a less prominent role than either health behaviors or social/economic factors. Yet health care is a critical determinant of health, particularly when provided under cost effective conditions. People without health insurance do access care in emergency rooms and free clinics, but this generally occurs under circumstances where it is difficult for providers and the system they work within to provide high quality, low cost care. Can Our Environmental Stressors be Inherited by Our Children? It is not anti-scientific to worry that our American belief in technology and venture capitalism could result in much waste, while less expensive investments we already know to be effective are ignored. The problem is that it is hard to predict the future, and decades from now there will certainly be important benefits from genomic research, including both treatments and preventive interventions. We can only insist that the most careful evidence on population health cost-effectiveness be used to guide investments, rather than the potential for profit from very expensive therapies that benefit few. But what to make of this quote I came upon the other day from Duke University geneticist Randy Jirtle? Bostic, R. et. al., Health Affairs, 31(9), 2130-2137. This article reviews the approach that one federal department, the Department of Housing and Urban Development (HUD) has taken in response to recent calls for a health in all policies approach, both by Office of Management and Budget (OMB) and notably in the cross sectoral National Prevention Strategy. The impact of housing on health has been appreciated since the tenement reforms around the turn of the last century. More recently HUD has been active in lead abatement efforts; its1992 Moving to Opportunity for Fair Housing Demonstration used vouchers to move residents out of public housing into more affluent neighborhoods. This project showed positive health impacts, including reductions in psychological distress, depression, and obesity among adults. Will Increased Transparency Requirements For Nonprofit Hospitals Bring Greater Community Health Investments? Rosenbaum S & Kindig DA, "Will Increased Transparency Requirements For Nonprofit Hospitals Bring Greater Community Health Investments?" Health Affairs Blog, 10/24/12, http://healthaffairs.org/blog/2012/10/24/will-increased-transparency-requirements-for-nonprofit-hospitals-bring-greater-community-health-investments/, Copyright ©2012 Health Affairs by Project HOPE – The People-to-People Health Foundation, Inc.
For additional reading on this topic, please see Bakken E, Kindig DA (2012). "Is Hospital 'Community Benefit' Charity Care?" Wisconsin Medical Journal, 11(5), 215-219. By Sara Rosenbaum, J.D. and David A. Kindig, M.D., Ph.D. Sweeping reforms implemented by the IRS and Treasury in 2009 have pulled back the veil surrounding the community benefit investments required of all nonprofit hospitals seeking federal tax exempt status. Will this new transparency, in combination with important tax law reforms enacted by Congress as part of the Affordable Care Act, lead to greater hospital investment in community health? Since the 1950s, federal tax law has recognized that in order to qualify for tax-exempt status, nonprofit hospitals owe certain duties to the communities they serve. IRS Revenue Ruling 56-185 (1956) established a “financial ability” standard that required charitable hospitals to be “operated to the extent of [their] financial ability for those not able to pay for the services rendered and not exclusively for those who are able and expected to pay.” In 1969, this early ruling was amended by Revenue Ruling 69-545, which substituted a more amorphous “community benefit” standard that has essentially survived into the present time, although with important modifications under the Affordable Care Act. As noted by the Joint Committee on Taxation, the express purpose of Revenue Ruling 69-545 was to eliminate any enforceable obligation on the part of tax-exempt hospitals to furnish financial assistance to indigent inpatients. Following an unsuccessful legal challenge to the validity of the ruling (Eastern Kentucky Welfare Rights Organization v Simon, 370 F. Supp. 325, 338 (D.D.C. 1973), rev’d, 506 F.2d 1278 (D.C. Cir. 1974), vacated on other grounds, 426 U.S. 26 (1976)), the community benefit standard remained moribund and essentially went unexplored for decades. Population Health: If It's Everything, Is It Nothing? Hmmm…if it’s everything, is it nothing? A look at the population health model underpinning this blog and all I work on in population health, suggests that indeed it is perhaps everything: a broad set of outcomes produced by a comprehensive set of determinants which are influenced or activated by programs and policies in the public and private sectors. When it comes to population health, is being the best the only thing we want to measure and reward? What about communities and states that are improving most rapidly, particularly from poor baselines? This issue is front and center in education policy: should we reward or incentivize schools or teachers who have the best student test scores, or those demonstrating greatest improvement? I think both approaches are useful. Overall achievement should be measured and recognized, as with Olympic medals. But there’s also a case to be made for keeping track of improvement, particularly for purposes of allocating resources to communities with formidable social and economic challenges. When it comes to developing and implementing solutions to problems that affect our communities, evidence matters. Implementing or adapting strategies that are proven increases the likelihood of success in improving community health. Investments in strategies that are shown to work are smart investments that can stretch the impact of scarce dollars. Developed by the University of Wisconsin Population Health Institute in partnership with the Robert Wood Johnson Foundation, What Works for Health is an online tool that you can use to find policies and programs that have been shown to improve community health. Differences In Life Expectancy Due to Race And Educational Differences Are Widening, And Many May Not Catch Up. S. Jay Olshansky et al. Health Affairs (2012), 31 (8), 1803-1813. The two overarching goals of population health improvement are improving overall health and reducing disparities. Successive generations of Americans enjoyed upward trends in life expectancy and improved general health during the twentieth century. However, in spite of the technological advancements in modern medicine and escalating health care expenditures, disparities in longevity based on race/ethnicity and educational attainment remain persistent and damaging to our society. This article by a distinguished group of investigators from the MacArthur Research Network on an Aging Society quantifies these life expectancy disparities in terms of race and education level, using data from NCHS as well as the American Community Survey (the largest household survey in the U.S.). Investigators found the largest disparity in life expectancy at birth to be between highest educated whites and lowest educated blacks: 14.2 years for males and 10.3 years for females (2008 data). The authors found that while race plays a role in longevity, education level is even more important across all groups, except Hispanic females. Educational attainment at age 25 correlated more strongly with expected life years, both within and among racial groupings. For example, highly educated blacks had a life expectancy 7.5 years higher than their less educated white counterparts, which defies the overall racial disparity. Can We Find Political Common Ground to Improve Population Health? The next two months will be filled with harsh and divisive campaigning, deepening the ideological divide that characterizes our politics these days. Both conventions seemed primarily designed to energize their bases, by emphasizing the sharpest differences between the political “tribes.” Perhaps this is necessary in today’s politics, but it doesn’t bode well for population health policy over the coming decade. Improving population health will require cutting health care costs while preserving access and quality, enabling better health behaviors, improving education, economic growth, and the physical environment while also increasing social support and social capital. These are decisions that will require careful, nuanced decisions that go far beyond simplified political exchanges. "If Not Genetics, Then What?" We have argued in this blog about the potential importance of local population health “policy packages” tailored to the specific health outcomes, factors, and policy resources and climate of individual jurisdictions. Macinko and Silver go beyond speculation with a compelling and important analysis of how states have varied over time with regard to public health policy. They approach this through the lens of two policy constructs: intradomain, which is the extent to which a state adopts the entire set of evidence based policies for a given policy set such as motor vehicle crashes, and interdomain referring to the extent a state adopts evidence based policies across multiple domains such as smoking, alcohol, and nutrition policies. Twenty-seven proven policies were examined, such as seatbelt laws, indoor smoking bans, and firearm restrictions, to uncover patterns within state policy environments between 1980 and 2000. One of the figures in their paper demonstrates some interesting patterns, including clustering of certain states into a few highly similar trajectory groupings which basically negates the typical red/blue state patterns in terms of health policy. The authors contend “these illustrations of state policy behavior, albeit crude, nevertheless suggest there may be patterns of state policymaking that bear further investigation.” This conceptualization and tracking of state policy patterns is a fresh and important perspective that should help us move forward with advancing a balanced investment portfolio of health in all policies. Noted ecologist Wendell Berry, in an essay entitled “Solving for Pattern,” observed that “Good solutions recognize that they are part of a larger whole. They solve more than one problem and don't create new problems.” Berry was thinking mainly about environmental issues. But his mandate applies equally to the health system, where some of the most effective leaders routinely strive to achieve the “Triple Aim” of better health, better care, and lower cost for all. One such endeavor is unfolding in Pueblo, Colorado (population 160,000), located about two hours south of Denver, where scores of stakeholders are now committed to the Triple Aim. According to the Institute for Healthcare Improvement, Pueblo is one of a few sites formally working at a county-wide scale. Pueblo is also an early adopter of the Collective Impact strategy, popularized by the nonprofit consulting firm FSG, and one of the first pilot sites in the ReThink Health Dynamics project. Together, these influences have shaped their approach to system-wide planning and action (see figure below). Do You Really Mean "Health" Expenditures? Kindig DA, Do You Really Mean "Health Expenditures?" Health Affairs Blog, 8/7/12, http://healthaffairs.org/blog/2012/08/07/do-you-really-mean-health-expenditures/, Copyright ©2012 Health Affairs by Project HOPE – The People-to-People Health Foundation, Inc. Using the term health expenditures yields a narrow and seriously misleading view of what it will really cost to improve population health. Secretary of the Department of Health and Human Services should adopt an interim explicit life expectancy target, establish data systems for a permanent health-adjusted life expectancy target, and establish a specific per capita health expenditure target to be achieved by 2030. Reaching these targets should engage all health system stakeholders in actions intended to achieve parity with averages among comparable nations on healthy life expectancy and per capita health expenditures. Trends in the Black-White Life Expectancy Gap, 2003-2008 (Harper S, Rushani D, Kaufman J. JAMA. 2012;307(21):2257-2259). The gap in life expectancy between non-Hispanic white and non-Hispanic blacks has continued to be one of the greatest lingering disparities of public health in the modern era. However, this brief report in JAMA asserts that this gap may be beginning to close. The authors have found that between 2003 and 2008 the life expectancy gap has been reduced from 6.5 to 5.4 years for men and 4.6 to 3.7 years for women. 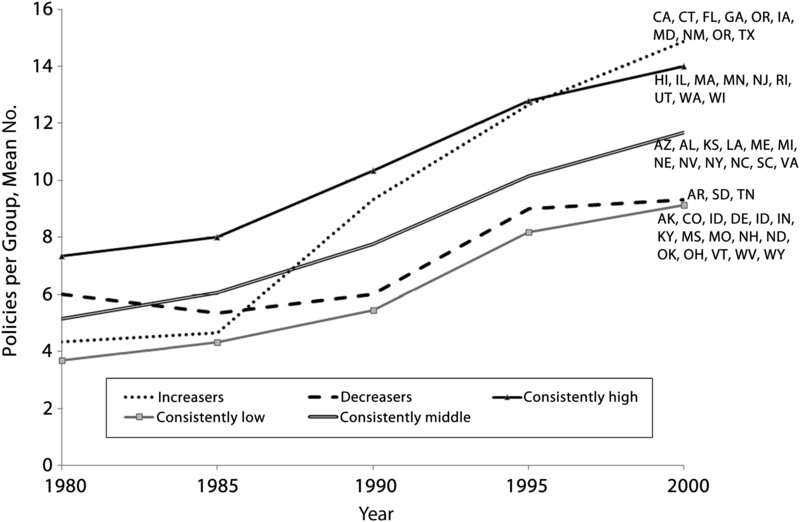 This reduction is significant, as a reduction of this magnitude has not been observed since the early 1990s, with the authors concluding “these racial inequalities among men and women in 2008 are the lowest ever recorded in the United States.” Authors attribute the narrowing gap among both men and women to declines in heart disease and HIV mortality rates, as well as a recent increase in poisoning mortality that has affected middle-aged white men more than any other group. This example illustrates that disparity rates are ratios that can be improved by worsening health among advantaged groups as well as improved health among disadvantaged groups. Overall, these results are remarkably hopeful and need to be followed in future years for clues about how such trends can be sustained. Progress in population health requires dedicated funding streams to guarantee the long-term viability of programs. However, in these cash-strapped times, securing grants can be like walking up a flight stairs doing a headstand. Seven counties in Florida are using an ingenious and unique method of continued funding through special districts to promote childhood and related family health programs. Known as children’s services councils (CSCs), these organizations gain the majority of their budget from levying small, additional property taxes. As health trajectories begin at day one, these councils work to ensure that all children meet key health indicators, such as prenatal care, parenting techniques, and school preparation. One such county is Palm Beach County, Florida; I spoke with members of the Palm Beach County Children’s Services Council (www.cscpbc.org) to better understand their mission and this exceptionally creative funding method for promoting childhood health. My previous post on population medicine prompted a number of thoughtful responses which I’d like to share. This is not simply a terminology discussion. The breadth of the population health view we espouse here can be undermined if it is confused with chronic disease management of enrolled patients. Population medicine…takes a population perspective from a healthcare system base. It encompasses the intersection between the health care system and other determinants of (and partners in) populationhealth e.g. public health, communities, the built and social environments,etc. In other words, it is the sum of 1) the population- specific activities of the health care system itself and 2) the intersection ofthe health care system with other determinants of population health. While the population-specific activities of the health care system are important and arguably easier to delineate and act upon, the exciting potential for long-term innovation and impact is in the intersection. Are Male Genetic Health Differences Disparities or Inequities? A year ago I discussed health disparities in several posts, including one on Rates and Burden, where I noted that “rates are very useful measures, because they allow comparison across populations of different sizes. But from a population health perspective, rates alone are not enough, because large disparities in very small populations have a different impact than similar disparities in larger populations. Burden refers to the impact of a health problem in a population, combining both the rate and the number of people affected.” I went on to observe that in comparing male and female mortality, there is a surprisingly high male mortality rate, but it is the size of this population (155 million) that transforms the rate into a significant population health burden, equal or more important than those by race or socioeconomic status. This old post came immediately to mind several months ago when I saw the New York Times headline “Male Genes May Explain Higher Health Disease Risk,” which focuses on work by Fadi Charchar and colleagues that appeared in The Lancet. Findings reveal that British men have one of two variants of a cluster of genes on their Y chromosome – one of which carries a 50% increased risk of heart disease, even after controlling for smoking, diabetes, and cholesterol. The County Health Rankings paint a granular picture of morbidity and mortality in more than 3,000 U.S. counties. By ranking counties within each state, these data depict inequalities in health at the regional level; by framing these variations in terms of geography and social determinants, these data implicate broad social structures in health and disease; and by specifying health in terms of preventable morbidity and premature mortality, these data describe an important human good. In these ways, the County Health Rankings make vivid an important moral question: Are these inequalities in health ethically acceptable? The Economic Gains of Achieving Reduced Alcohol Consumption Targets for Australia. How should we evaluate progress a year later? My first reaction is gratitude that the effort is underway, apparently alive and well. Unlike many efforts at cross-agency collaboration, the work of the Prevention Council is moving forward, despite the natural obstacles it faces. As my colleague Elizabeth Rigby observed in Health Affairs a few months ago, “For any cross-agency collaboration to be successful, it must secure and sustain support across the relevant agencies. Yet it is well known from previous efforts that calls for collaboration can be threatening to an agency’s autonomy, culture, or mission, particularly when issues fall within the policy space that ’belongs‘ to more than one agency but is divided by rigid institutional structures.” These threats are even more pronounced in the time of fiscal crisis and shrinking budgets agencies find themselves today. Is Population Medicine Population Health? Terminology can be tricky; a word or phrase can sometimes mean different things to different people. This is currently the case with both population medicine and population health. On this blog we have been explicit in our definition of population health, from the 2003 article I wrote with Greg Stoddart: “the health outcomes of a group of individuals, including the distribution of such outcomes within the group.“ Population health also encompasses the multiple determinants of health that produce these outcomes. Bloomberg and Sugar: Will Regulatory Incentives Be Effective? In his current biography The Passage of Power, Robert Caro recalls how four days after the Kennedy assassination, Lyndon Johnson had to decide if he would make a major civil rights push in his transition address to Congress the following week. Cautioned by his aides that it might be too controversial, he said, "Well, what the hell’s the presidency for?" I was thinking of this last week when the New York Times editorial page called last week’s proposed removal of sugary drinks larger than 16 ounces in restaurants, theaters, stadiums and food carts by Mayor Bloomberg and Health Commissioner Farley “A Ban Too Far.” They applaud other anti-obesity efforts but claim that “too much nannying with a ban might cause people to tune out.” That statement does not seem to be particularly compelling itself, but how should population health advocates evaluate when regulation is appropriate or not? What Does a Population Health Integrator Do? Last week, Joanne Lynn addressed issues on population health for frail and disabled elders, and suggested the need for an integrator at this life stage. This week Debbie Chang Vice President of Policy and Prevention at Nemours, an integrated child health system, further discusses the integrator role, based on a paper she presented to the CMMI Population Health Models group earlier this month. Nemours has taken on the role of an integrator to improve child health and well-being in Delaware. An integrator is an entity that serves a convening role and works intentionally and systemically across various sectors to achieve improvements in health and well-being for an entire population in a specific geographic area. Examples of integrators range from integrated health systems and quasi-governmental agencies to community-based non-profits and coalitions. The integrator role is not one-size-fits-all, but rather must be flexible to adapt in response to the needs of the community or population it serves. Integrators, or a system of integrators, may take various forms, depending on available resources and on community strengths and needs. An integrator need not perform all of the functions listed below at once; external forces and contexts may require certain functions to take precedence at certain times. Communities may have one or more integrators. In fact, large and/or complex communities may be most effective with multiple integrators. Integrators working within the same community may specialize. For example, one integrator may focus on children, to integrate key developmental aspects that address long-term needs and promote healthy development in the multiple sectors where children spend time such as schools, child care, primary care and neighborhoods. Another integrator in that same community may focus on another phase in the life course. A wide array of organizations could assume an integrator role, depending on communities’ goals, contexts, leadership, and stakeholder capabilities and resources. Over time, there may be an evolution in the entity or entities serving in the integrator role. Ultimately, a successful integrator or system of integrators benefits the community and its population by transforming the system thereby making it transparent to those who pay for it and who use it and by catalyzing and facilitating the integrated systems-work necessary to address the upstream social determinants of health. Engage partners from multiple sectors and/or connect with other integrators to achieve the Three-Part Aim, with an emphasis on integrating services and mobilizing interventions to address upstream determinants of health. Serve as a trusted leader in the community that accepts accountability for and strategically drives the integration functions. Facilitate agreement among multi-sector stakeholders on shared goals and metrics to improve the health outcomes of a population in a geographic area. Work at the systems level to make policy and practice changes in both the public and private sectors that impact populations and/or support partners or connect with other integrators in making these changes to scale up what works so that the entire population can benefit. Serve as a source for spreading what works at both the policy/systems level and at the practice level to reach sufficient scale. Sustain change by impacting policies and practices in collaboration with institutions and community partners at the local, community and state levels. Pursue financial sustainability via various methods, including leveraging existing and new sources of funding, developing innovative uses of current sources, and testing payment reforms that promote value and incentivize disease prevention and healthy development. Gather, analyze, monitor, integrate and learn from data at the individual and population level. Apply this knowledge to improve care and the patient experience at the individual level, improve systems at the population level, evaluate progress, and ensure that resources are targeted most efficiently, based on actual needs of communities and groups of patients. Identify and connect with system navigators (those roles intended to help individuals coordinate, access and manage multiple services and supports) so the integrator can harvest and aggregate data from individual cases and use the data to promote population-level solutions. Develop a system of ongoing and intentional communication and feedback at multiple levels including with affected sectors, systems and communities. For an expanded discussion on this topic, please read Integrator Role and Functions in Population Health Improvement Initiatives. Debbie I. Chang is Vice President of Policy and Prevention at Nemours. This week, we are very pleased to welcome guest blogger Joanne Lynn, M.D., who serves as Director for the Altarum Center for Eldercare and Advanced Illness. A few months ago, David Kindig asked readers, “Where Would You Put the Money?” Dr. Lynn responded with a provocative comment, which she expands on below (please note that this post is cross-posted on the Altarum Institute’s blog, Health Policy Forum). Readers of this blog are familiar with—and mostly supportive of—these two claims: (1) that social and environmental factors are stronger than health care services in shaping the population’s health, but (2) those factors are weaker than health care services in securing funding and public attention. Most of us are convinced that sending more funds and public support toward healthy food and exercise would do more to improve health than sending those funds toward high-cost medications or surgeries. My question here is whether we can usefully apply the same perspective to the care needed for frail and disabled elders. Some will want to stop and contend that prevention of disability would still be the priority, and that argument has merit, of course. But “prevention” of disability associated with aging is really mostly delay, and most of us will have a period of serious disability before dying, no matter how well we eat and exercise. Really?? A Free Population Health Textbook from Preventing Chronic Disease?? Yes, the online CDC journal Preventing Chronic Disease (PCD) has just released a compilation of 23 essays on current population health practice and scholarship relating broadly to population health metrics, incentives, and partnerships. These essays were an early part of our Robert Wood Johnson Foundation funded project called Mobilizing Action Toward Community Health (MATCH) at the University of Wisconsin Population Health Institute, which many readers know has evolved into County Health Rankings & Roadmaps efforts. In 2009, we commissioned essays to critique underlying assumptions about metrics, incentives, and partnerships and to suggest approaches for overcoming potential barriers to population health improvement. Don Berwick: "Waste is Theft"
I often emphasize the potential for wasted resources in ineffective health care to fund population health investments. And I have praised Don Berwick for his lifelong and more recent leadership in health care improvement. Both of these threads came together last month when I heard Don give the George W. Gay Lecture in Medical Ethics at Harvard. Always a compelling speaker, he riveted the audience with the very human story of a newborn exchange transfusion gone very wrong when he was a pediatric resident. His immediate point was the lost opportunity then to confront the errors promptly and openly to prevent reoccurrence. He asserted that this was an ethical responsibility of physicians and health care systems if quality is to be continuously improved. Last week I summarized the IOM’s new report on For the Public’s Health: Investing in a Healthier Future. The entire 3-part series is extremely important from a policy perspective and should be on every population health advocate’s reading list. I praised the report as a whole but also promised a critique. The crux of my argument is that to achieve the Committee’s ambitious goals, we need to think beyond governmental public health. The suggested doubling of the budget for governmental public health, which seems reasonable for the set of minimum public health services, is necessary but not nearly sufficient to achieve their population health improvement goals. I’ve been waiting with anticipation for last week’s IOM report on For the Public's Health: Investing in a Healthier Future, from the IOM Committee on Public Health Strategies to Improve Health. This is the third of three reports. The first report was released in December 2010 and focused on measurement of population health and related accountability at all levels of government. The second report was released in June 2011 and reflected the committee’s thinking about legal and public policy reform such as health departments’ powers, duties, and limitations as defined in enabling statutes and the use of legal and policy tools to improve the public’s health. The third report addresses the critical issue, in a time of declining resources, of public health resource needs and approaches to addressing them in a “predictable and sustainable manner to ensure a robust population health system.” Given my many calls for dependable revenue streams for population health improvement, this clearly was a must-read for me. This concept is better understood today than it was in 2003, but it is still hard to communicate. We accept the health-compromising effects of smoking and lack of health care access, but how education and income ‘get under the skin” to produce disease and death is less obvious. Yet a growing body of literature supports this finding, and is the reason why we give social factors a weighting of 40% in the County Health Rankings model. This week we’re calling attention to a study I co-authored with one of our PhD candidates, Erika Cheng. The article, Disparities in premature mortality between high and low income U.S. counties, appears in the April 2012 issue of Preventing Chronic Disease. County health ranks -- Are they a'changin? It’s ranking season again (and I’m not talking about NCAA basketball) – the 2012 County Health Rankings will be available tomorrow (April 3, 2012). Since this is our third year of releasing the Rankings for all 50 states, we are fielding questions such as what has changed since last year? If not much has changed, why should anyone pay attention? On April 3rd 2012, the University of Wisconsin Population Health Institute will make applications available for the inaugural Roadmaps to Health Prize. The Prize is part of the Robert Wood Johnson Foundation-funded County Health Roadmaps project and will recognize communities across the U.S. that have successfully mobilized to improve population health. Communities throughout the country are actively engaged in finding ways to increase the health and vitality of residents. The Roadmaps to Health Prize is rooted in the idea that every community is on a unique journey toward better health. The prize will honor the accomplishments of communities along the continuum of this journey, from those that have achieved tremendous success to those that have struggled against great odds and may just be beginning to see results. The Roadmaps to Health Prize is a place-based prize that will honor whole communities (rather than individuals or individual organizations). All U.S. communities are eligible to apply. For the purposes of the prize, “communities” are defined as towns, cities, counties, regions (such as contiguous towns, cities, or counties), tribes, and tribal communities. Realigning fundraising for specific community-identified initiatives, objectives and practices. These roles are similar to the idea of a "backbone organization" and to David Kindig’s “Super Integrator” concept. This is not to say that United Way will always take the lead; we recognize that effective leadership can be at the front, in the middle, or from behind. Nor does it mean United Way acts alone. As a non-partisan convener, United Way ensures that all critical parties are engaged and play necessary roles to advance the common good. A term used in the United States by land use planners to describe a process that determines community goals and aspirations in terms of community development. The outcome of comprehensive planning is the Comprehensive Plan which dictates public policy in terms of transportation, utilities, land use, recreation, and housing. Comprehensive plans typically encompass large geographical areas, a broad range of topics, and cover a long-term time horizon. Communities have been developing "Master Plans" to guide their long-range decision-making since the late 19th century (notably, concern about sanitation and the spread of disease in urban areas was the major early impetus). Amherst, Massachusetts calls its new Master Plan -- its first in 40 years -- a "statement of community intent." Much of what influences our health happens outside of the doctor’s office—in our schools, workplaces and neighborhoods. The ability to find good jobs, to prepare children for college and career success, to establish financial security, and to live in safe communities that promote positive relationships among family and friends are not usually thought of as health interventions. However, these factors play an important role in our ability to lead long and healthy lives. The County Health Rankings, released annually by the University of Wisconsin Population Health Institute (UWPHI) and the Robert Wood Johnson Foundation (RWJF), rank the health of counties throughout the nation and clearly show how social and economic factors impact health. They emphasize the role that key factors such as education, income and employment, family and social connectedness, and community safety play in building healthy communities. However, efforts to address these factors often occur within individual sectors and focus on short-term goals like expanding effective programs. But what if those efforts could be broadened? How might the vision and impact be expanded if those efforts were organized to include participants from multiple sectors such as health, the business community, or policymakers? Might they achieve meaningful, long-term policy change? And what strategies and tactics would a coalition formed from a diverse group of organizations undertake? Is Lower Health Care Spending Good for Our Health? I believe the most important scholarly publication in January, 2012 was Health Affairs’ “Growth in U.S. Health Spending Remained Slow in 2010; Health Share of Domestic Product Was Unchanged From 2009.” This annual report from the Office of the Actuary and the National Health Expenditure Accounts Team of the federal Centers for Medicare & Medicaid Services (CMS) always gets substantial coverage in the mainstream press and this year was no exception. Why are health expenditure trends so important to improving population health? Because the amount we spend on health care in the United States is the elephant in the room regarding aligning resources appropriately to make us healthier and reduce disparities.